The 1994 Clarksburg Master Plan establishes a long-range vision of Clarksburg as the northern-most population center along the I-270 Corridor. The plan implementation spans decades, so development will be staged over time. The plan details a vision of Clarksburg as a transit- and pedestrian-oriented community surrounded by open space. In response to a request by the County Council, the Planning Department prepared a Limited Amendment to the Clarksburg Master Plan, focusing on the Ten Mile Creek Area. On June 28, 2011, the County Council unanimously approved a limited amendment to the Clarksburg Master Plan that could lead to quicker establishment of a long overdue grocery store in the planning area. The amendment allows construction of a grocery store (and potential ancillary uses) outside the Clarksburg Town Center. 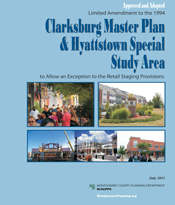 The intent of the 1994 Clarksburg Master Plan was to place retail development, including a grocery store, in the Town Center. However, the staging plan ended up delaying construction of any grocery store in the area. 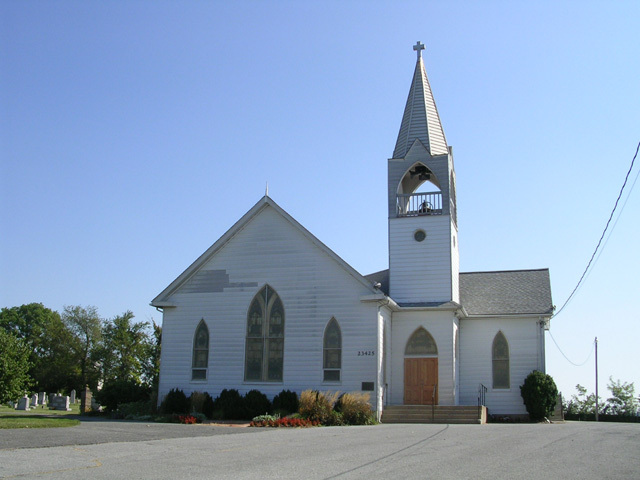 The amendment allows property owners in the Village Centers of Clarksburg, who have expressed interest in developing a grocery, to proceed. The County Council adopted a resolution appointing a Clarksburg Infrastructure Working Group on November 30, 2010. The working group consists of 11 appointees. The working group was charged with reviewing and prioritizing the necessary infrastructure items for the Clarksburg area and proposing suitable mechanisms to finance key infrastructure projects, with a focus on roads. overview of projects (PDF) (9.6 MB) underway and development on the horizon to two County Council committees. The presentation featured a summary of the Town Center project, a snapshot of development activity and a list of recently approved projects, such as the fire station. View the Council staff summary. 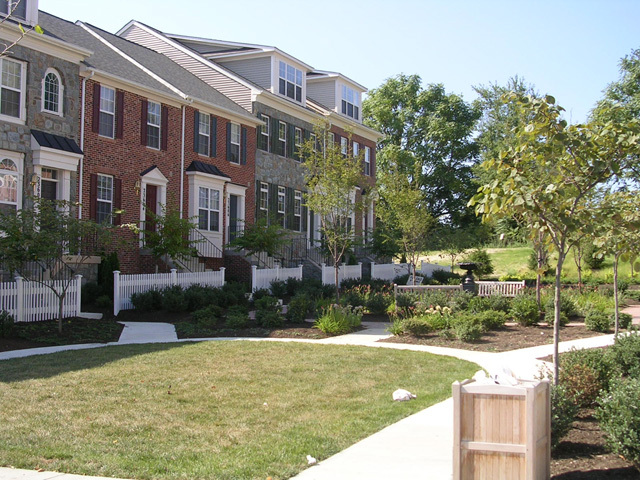 Clarksburg’s growth from a small historic settlement into a new type of community, is guided by the Clarksburg Master Plan (1994). The Master Plan is a point of reference with regard to public policy. Allowing development of a town smaller than a “corridor city”. Protecting of natural features such as stream valleys with special protection provided for Ten Mile Creek and Little Seneca Creek. Creating of a multi-purpose greenway system along stream valleys; including the Clarksburg Greenway. Creating a comprehensive transit system that will reduce dependence on the automobile. Providing a street network, which clearly differentiates between highways needed for regional traffic and roads for more local use. Creating a transit-oriented, multi-use Town Center, which is compatible with the scale and character of the Clarksburg Historic District. 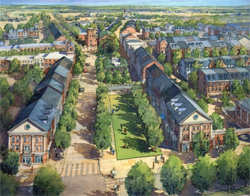 Clustering development into a series of transit – and pedestrian- oriented neighborhoods. Emphasizing the importance of I-270 as a high-technology corridor for Montgomery County and the region and preserving key site adjacent to I-270 for future employment options. Supporting existing County policies to preserve farmland. Staging development to address fiscal concerns while being responsive to community building and environmental objectives. Clarksburg planners and Council member Craig Rice look forward to new retail in Clarksburg in this Montgomery Plans excerpt.